The definition of Highway Lighting? The definition of Highway Lighting?? Highway lighting is lighting found on the side of a roadway or car park. Generally speaking this would be to an adoptable standard, in other words is opened by the local council or borough. Highway lighting sole purpose is to offer a safe environment to all road users including pedestrians and vehicular movement. Depending on the type of road or car park then different types of lighting sources could be specified. These range from low and high pressure sodium (orange type) lights that would have been installed from the late 1960s up to the present date. High Pressure Sodium offers a good solution for traffic routes as it is soft on the human eye offering good visibility for the drivers. Adoptable highway lighting on residential roads in the modern day is now lit using a white light source. This can range from Ceramic Metal Halide to Cosmopolis. It is envisaged over the coming years that these will be replaced with the LED optics to offer a superior energy efficient scheme and carbon reduction. Highway lighting in car parking areas can vary between any of the above depending on the application. Personally I prefer to use a white light source as it offers good colour rendering and is a colder colour temperature. Because in a car park there is interaction between the general public and vehicular movement there is the potential conflict, therefore having a higher colour rendering offers improved safety and a more energy efficient lamp type. 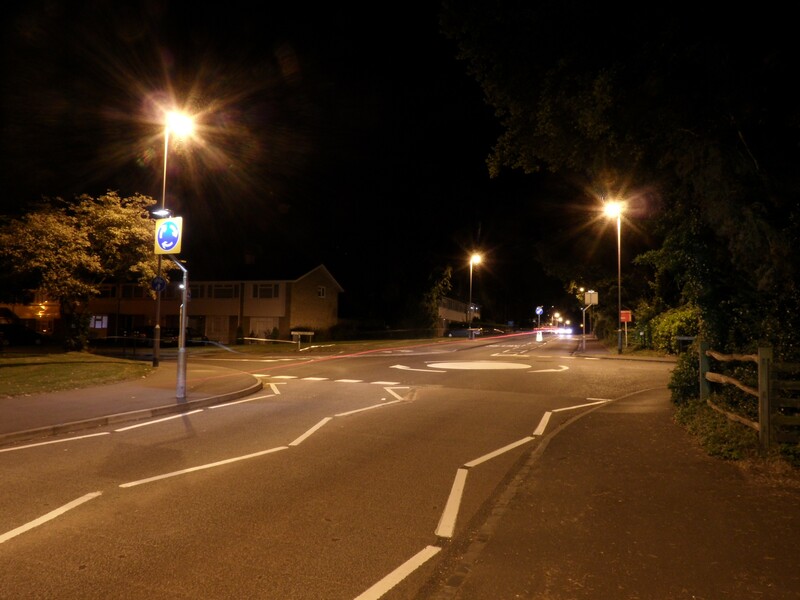 Private housing areas or industrial estates also have street lighting, this would not be adopted by the local authority however can still be classified as highway lighting. Any new highway lighting should be designed using a qualified designer and in accordance with the relevant street lighting standards. Copyright © 2019 MMA Lighting Consultancy Ltd.